SP Screens Perth has been a local family owned security screen manufacturing and installation business for over 33 years. We pride ourselves on innovation, quality and service. With over 33 years’ experience, our local team offer advice on the best security screening product for your property. We promise to provide you with the facts and then let you make an informed decision to suit your home style and budget. 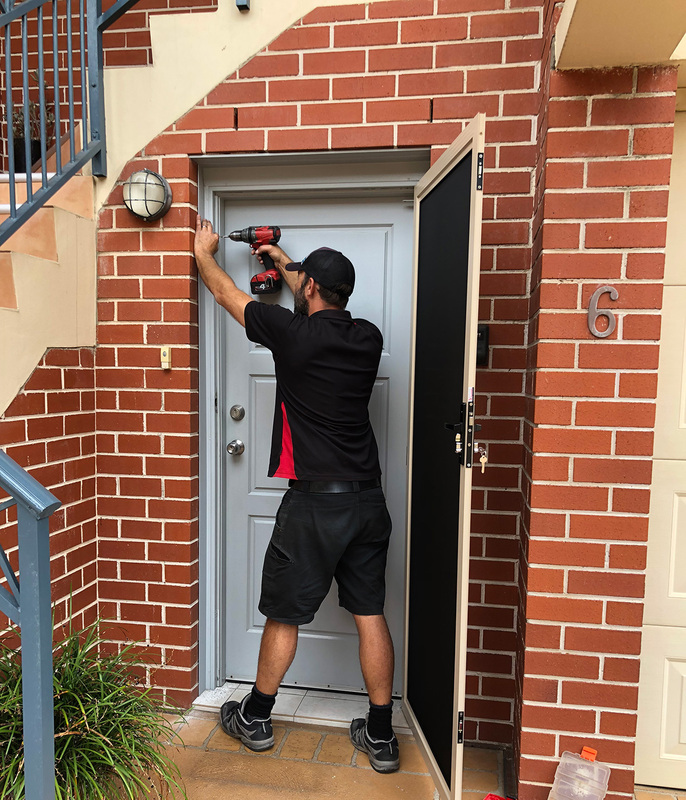 From Two Rocks to Mandurah and all suburbs in-between, we are Perth’s most trusted supplier of security doors and security window screens. Our licenced installers ensure a professional quality installation that will stand up to the harsh Perth environment to secure you property. SP Screens can help you choose the right security door for your home and budget in a colour matched to your current home. For hinged and sliding security doors, choose from our corrosion resistant SecureView316 marine grade stainless steel mesh security screen doors which are perfect for coastal homes OR our budget friendly Xceed perforated aluminium security doors. Security Screens can also be custom made and installed as emergency escape screens to keep your home secure while ensuring you can quickly escape in the case of an emergency (like a house fire). Security Screens that are secure from the outside while allowing exit from the inside. With more and more people in Perth living in apartments and multi-storey homes, security window screens (also known as fall-safe screens) are a great way to protect your loved ones from potential window falls. Fall Safe Screens are a popular choice for children’s bedroom or areas where climbable furniture is placed close to a window.